By Jeff Abbott. Originally posted by Waging Non-Violence. 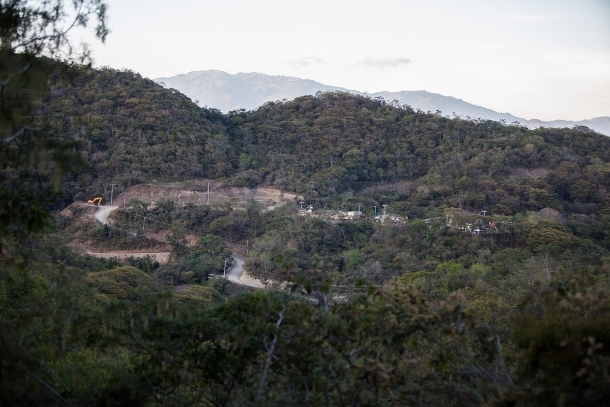 For three years the communities of San Jose del Golfo and San Pedro Ayampuc have struggled against the construction of a gold mine in their communities. The La Puya resistance has maintained their opposition in the face of criminalization and violence, but they have finally won a major victory. On July 15, Judge Angelica Noemi Tellez Hernandez, an appeals court judge, ruled in favor of the nonviolent community resistance. The judge ordered Kappes, Cassiday & Associates, or KCA, to suspend the construction of all infrastructure projects at their El Tambor mine outside San Jose del Golfo. She found that the company was operating illegally, because it had failed to perform a proper consultation of the communities affected by the project, and that they had failed to obtain any permits for the projects. She ordered that they had 15 days to cease all projects at the mining site, and requires the municipality to take steps to ensure the end of construction of infrastructure. The mining firm’s lawyers argued that they had obtained the proper permits, and that a consultation had occurred. But the judge saw through the firm’s bluff. For the communities, the court’s decision gives them further energy to continue in their struggle to defend their water and environment. 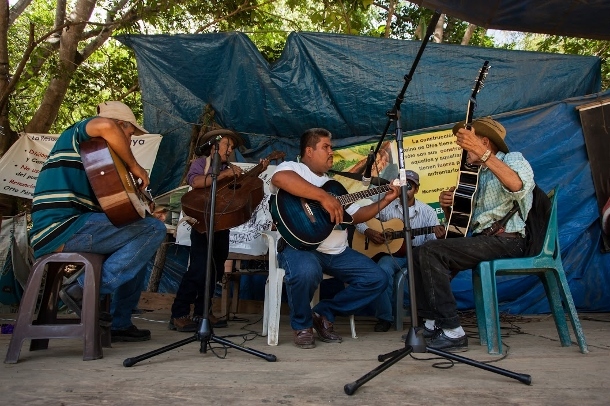 Following the court’s decision, the community and their supporters held a celebration organized by the Guatemala City based collective Festivales Solidarios, complete with piñatas and live music at the community’s permanent encampment at the entrance to the mine. It was a festive atmosphere as members of the peaceful resistance opened up their space to visitors and musicians from across Guatemala, Nicaragua, Canada, Venezuela and the United States. The communities of El Carrizal and El Guapinol first filled the case in October 2014. The suit claimed that the government had failed to act in the interests of the communities by failing to hold a public referendum on the mining project, as is required by both national and international law. During the case, the communities found an unlikely ally in the Public Ministry, which argued that the mining firm had violated the law with its project, and that the communities were right in their resistance. The court’s decision is also a major victory for communities across Guatemala, which have called for the Guatemalan government to respect and comply with the requirements of public consultations prior to any mega-project as required by their constitution and the International Labor Organizations’ Convention 169 on the rights of indigenous and tribal peoples. Since 2007, communities across Guatemala have held over 75 community-wide consultations on projects such as mining and hydroelectric dams. In every consultation, communities have overwhelmingly rejected any extractive project on their land. This decision confirms the community’s right to prior consultation over projects, and orders KCA and the municipality to hold a proper consultation in good faith with communities affected by the Tambor mine. The mining firm is expected to appeal the decision. 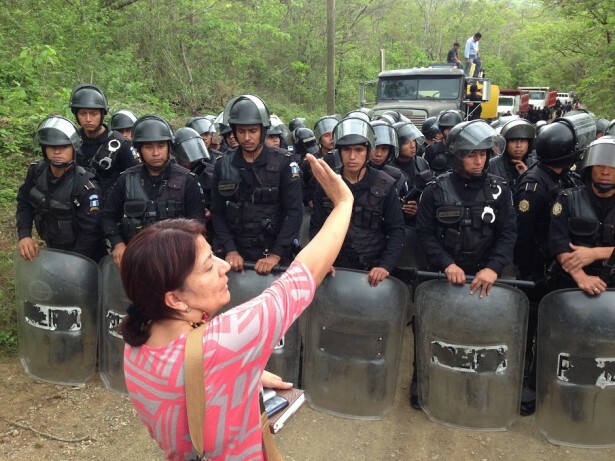 Since March 2012, the communities around the Progreso VII El Tambor mining site, which is owned by the United States mining firm KCA, have maintained a permanent, nonviolent, presence at the entrance of the mine. Communities fear that the mine will pollute their water and land. The La Puya resistance has gained international recognition for their dedication to nonviolence. The community regularly welcomes supporters to their encampment to share with them their story. In May 2014, the peaceful resistance was violently evicted by anti-riot police who were deployed by the Ministry of the Interior to ensure the arrival of construction equipment to the mine. Police were swinging batons and engulfed the encampment in tear gas as the company entered the mining site with their construction equipment. The community reclaimed their encampment the following day, but they have been under the observation of ever-present police since. International supporters have launched a petition following the decision. The petition, which was organized by the Washington, D.C.-based, Guatemala Human Rights Commission, demands that the mining firm suspend their illegal operations at the El Tambor mine. Rez and other members of La Puya resistance have stated their intention to maintain their presence at the entrance of the mine, and continue their defense of the environment. They’ve stated that they are planning new actions, but were unwilling to go into further detail.